The Summertown group nursery in Oxford treated mums to an early Mother’s Day on Friday, 29th March. Mums enjoyed an afternoon tea and had a chance to speak to staff and other parents. Amongst the 20 mums who attended the celebration, were Michelle Bowen and Emma Slee. Julie Pender, a senior manager, said to Oxford Mail: “Last year was the first year we did it, and it was so well attended that we thought we would do it again. 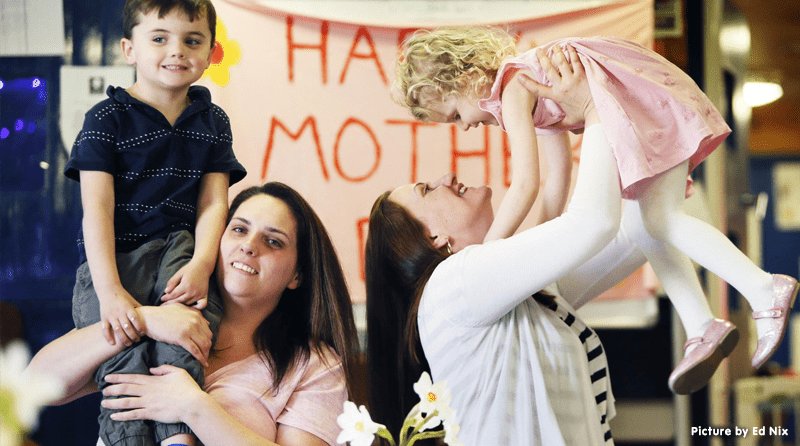 “Because the mums are working, they don’t get the opportunity to socialise with other mums, have tea with their children and see what they get up to at nursery. The nursery is already planning on repeating the celebration for Father’s Day in June. “Bring on the dads’ event in June,” added Ms Pender.